If you live in a tornado-prone area, you’ve probably heard just about every piece of tornado-related advice there is. Get to a low place away from windows, be sure to have plenty of drinking water and a weather radio on hand, and try to shield yourself from flying debris. The Tuuli Armor Tornado Shield can’t help you find a safe place, but it can keep you a little safer in whatever place you ride out the storm. 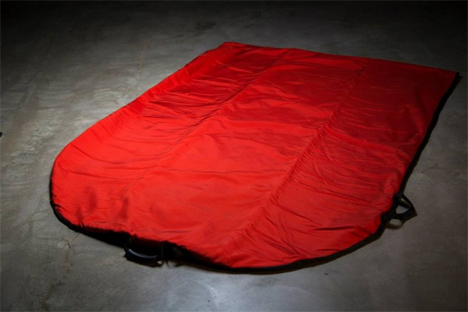 The Tornado Shield is essentially a souped-up sleeping bag. When a storm is headed your way, you find the safest place you can, lie down on the floor, and zip yourself into the bag. 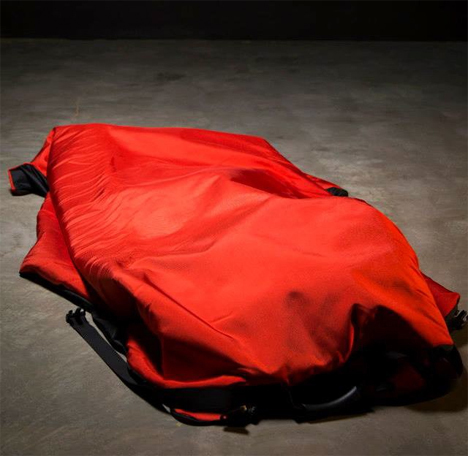 This seems terrifyingly similar to a body bag, but each bag can fit two adults and a child so at least you won’t be alone as you wait out the weather. 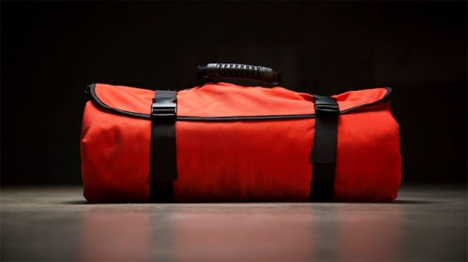 The idea for the bag came about after the terribly destructive EF-5 tornado that leveled Joplin, Missouri on May 22, 2011. Steve Anderson and his family had nowhere safe to go, so they hid under a mattress in their hallway and hoped for the best. Out of that natural disaster came the idea for a super-strong armor-like protection that guards against lacerations from flying debris, which is the most common type of injury received in a tornado. 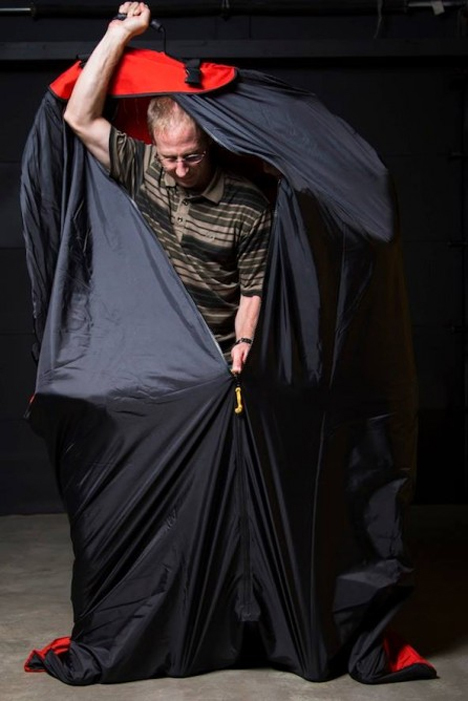 The Tuuli Armor Tornado Shield is made of ballistic nylon, an incredibly tough material that is used by the military to prevent shrapnel injuries. In tests, the Tornado Shield wasn’t pierced by a five-ounce piece of metal (meant to simulate rebar) shot at it at 260 miles per hour. The same piece of metal easily went through a 2X6 as well as several sheets of plywood. When it’s rolled up, the Tornado Shield fits into a closet, the trunk of a car, or under a bed easily so it’s always close at hand. It won’t keep you safe from falling walls or ceilings, and it’s no substitute for a nice, safe basement, but at $400 it’s a relatively inexpensive way to guard against some of the most common tornado-related injuries. See more in Home & Personal or under Gadgets. September, 2014.